I don't know about you, but I am always on the hunt for the perfect holiday gift to give to the special people in my life. For me, this would be something that I know they will enjoy, but it will also be functional and high quality! Today I'm sharing something that meets all of those qualifications - a wooden watch from JORD! JORD is the creator of unique men's and women's wooden watches. I've now owned two different styles of watches from JORD, and both of them are high quality and make a statement with their unique design. 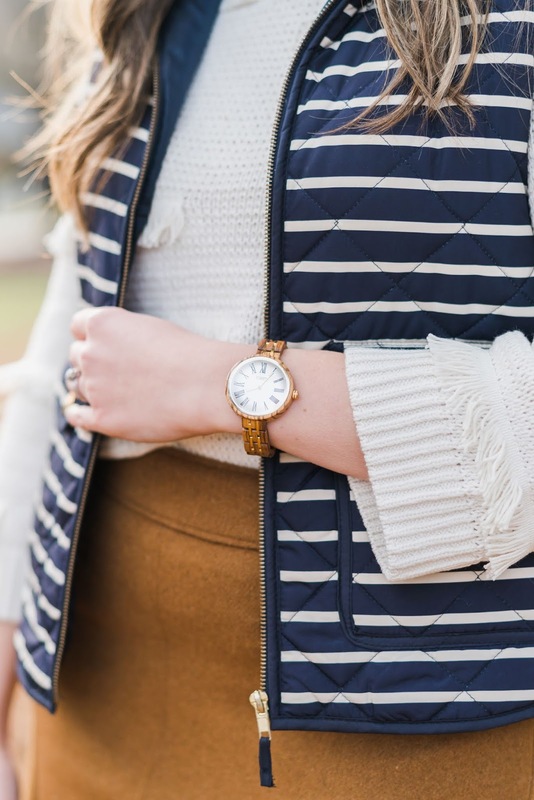 Back in January of this past year, I reviewed the Frankie dark sandalwood and smoke watch as the perfect date night accessory. I will now be handing my Frankie over to my sister, and I know she will enjoy wearing it! Spending a bit more money to gift classic statement pieces that you know your loved ones will wear frequently is important. 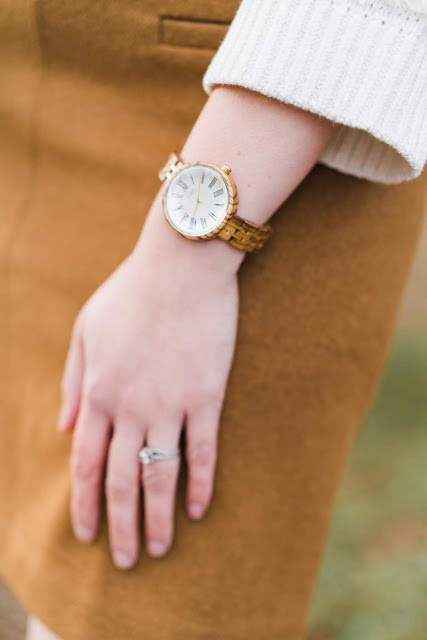 While JORD watches are a more casual watch since they're made from wood, they can easily be dressed up or down depending on what you wear with it. I also love that JORD offers wood watch bands for your Apple watch if that's what you wear on a regular basis, and the bands are priced very reasonably! What makes a JORD watch THE perfect gift? Their watches can be customized. You can have a note or saying engraved on the back of the watch face. If gifting this to a special someone, you could engrave a reminder that you love them. I opted to have mine engraved with my initials. This option allows you to personalize it making it even more special! 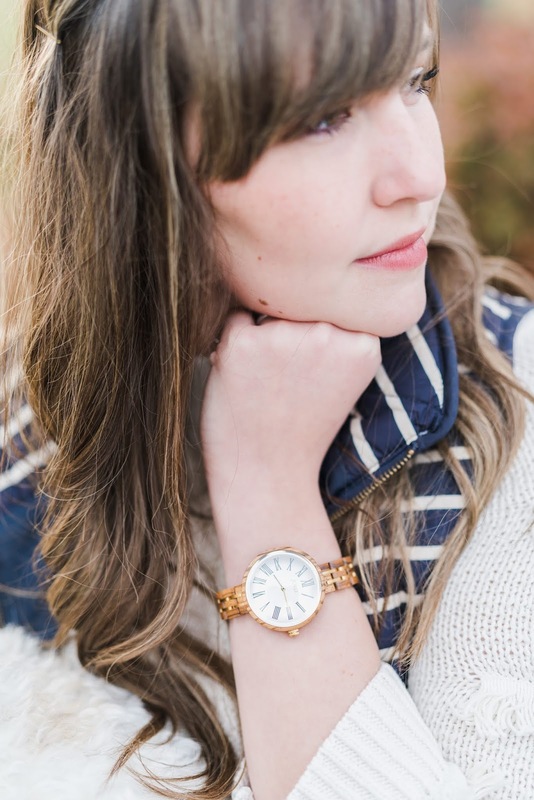 I selected the Cassia - Zebra & Ivory watch because I loved the larger face with the skinny band, and the white and gold accents are beautiful. It feels very feminine and stylish. 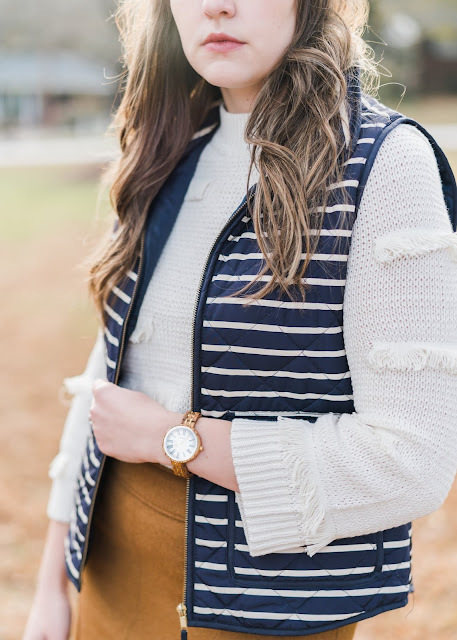 I paired it with this fun fringe sweater and camel wool skirt from Loft, and finished off the look with my favorite winter clothing item - a vest! I love how the wood watch really pulls the look together giving it a touch of style and sophistication. 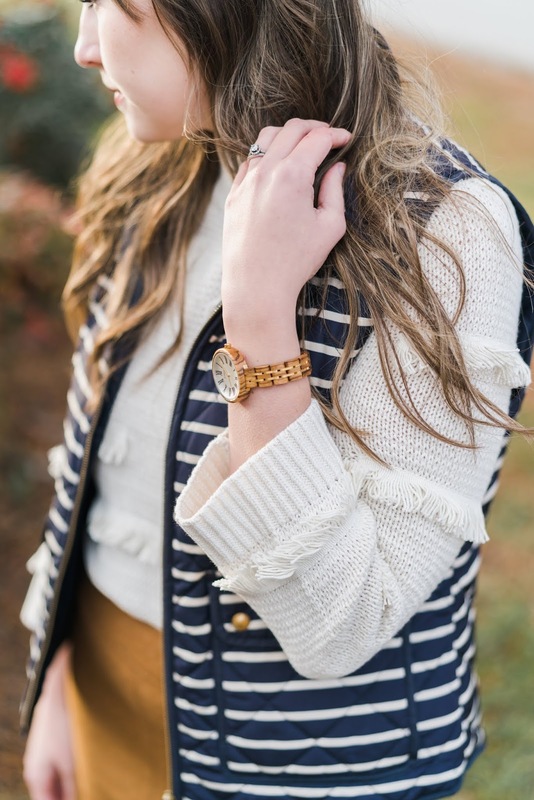 Whether you're on the market for men's or women's watches, JORD has you covered! If you're running low on your Christmas gift budget, don't you worry. 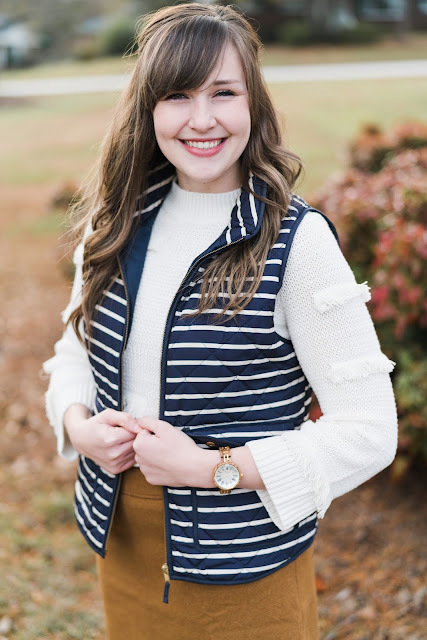 I am so excited to share that JORD is giving away a $100 credit towards any watch on their website! The contest closes on December 16, 2018, at 11:59pm CST, so be sure to get your entry in soon - click here to enter. 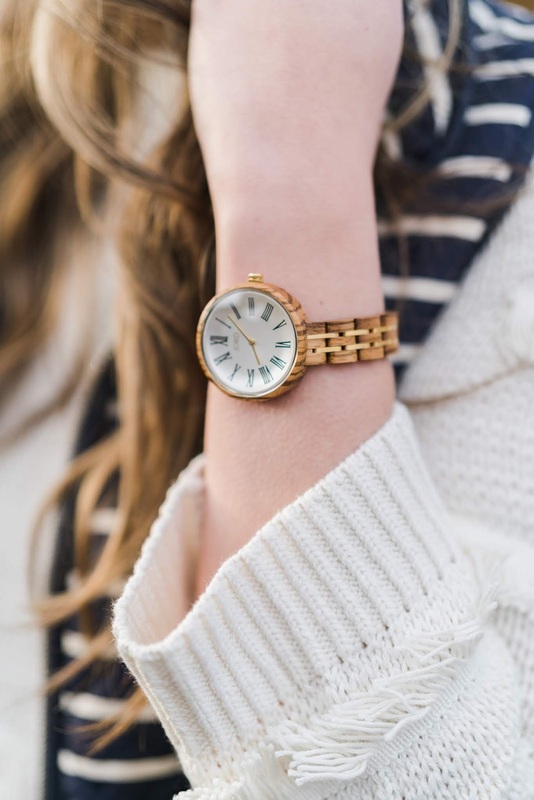 Who will you be gifting a JORD wooden watch this holiday season? That is a super cute watch. 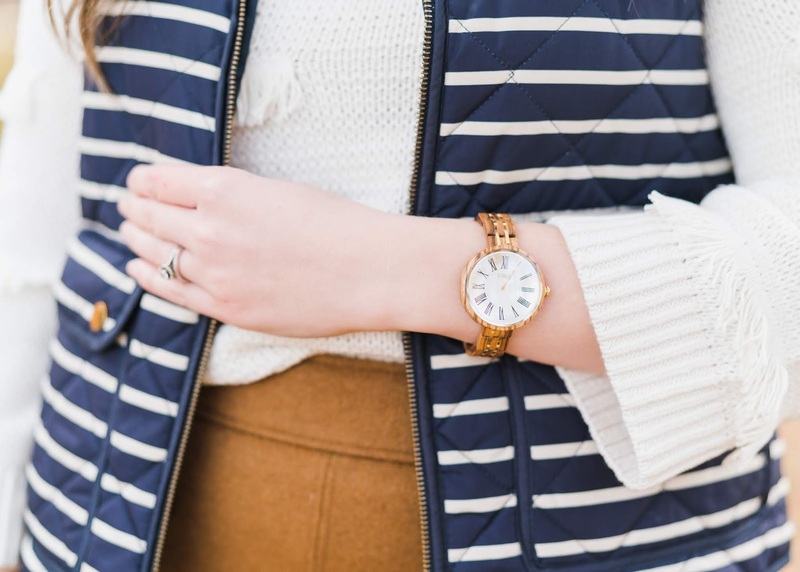 I've seen Jord watches before but this one is more sleek and feminine. Yes! That's what I loved about it. I hope you were able to enter the giveaway! I love JORD watches! I got one for my husband and he wears it all the time! Yours is so pretty! Aren't they so beautiful?! So glad your husband loves them - they make the perfect gift! Ooh I have never seen these before!! I entered the giveaway so I am crossing my fingers and toes!I picked the same one that you are wearing too! I'm so glad that I was able to help you discover JORD Watches! Thank you for entering, and I hope you win! Yay! 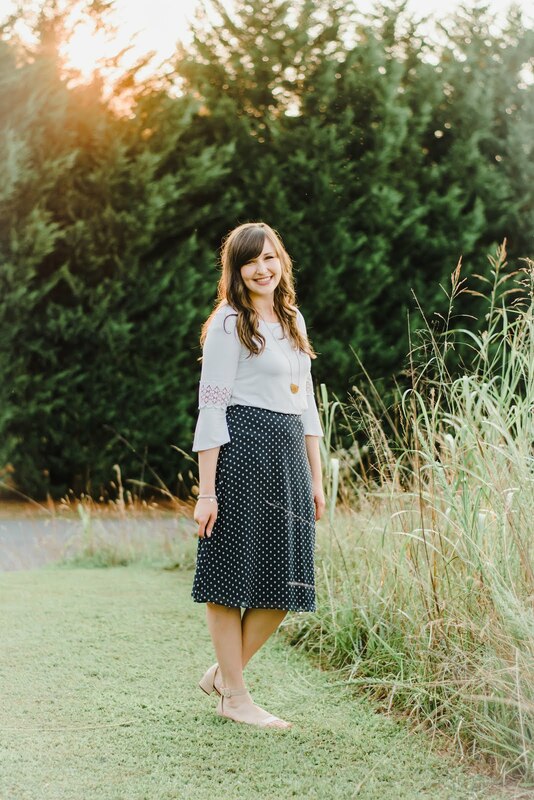 I hope you love it, and be sure to enter my giveaway! I think these wooden watches are so beautiful and elegant. Thanks for sharing this information with us.